Our ImuPro 270 Food Intolerance Test is the most elite package for someone who is looking for the most detailed analysis of their blood for possible food intolerances. Our top-level test analyzes a blood sample against 270 of the most common trigger foods. 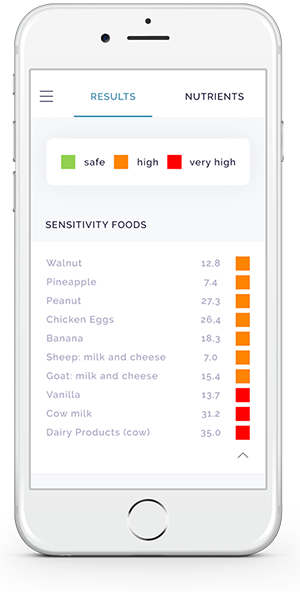 Compared to our other food intolerance packages, you can get the most food and food substance triggers analyzed in the ImuPro 270 Food Intolerance Test. This is our most extensive and complete testing package available. The ImuPro 270 Food Intolerance Test uses enzyme-linked immunosorbent assay (ELISA) testing to analyze your blood sample. ELISA testing looks for any possible food-specific IgG antibodies in your blood. The ImuPro 270 can identify up to 270 of the most common food triggers. From this complete list, the test categorizes these triggers based on how much they affect the IgG antibodies in your blood. 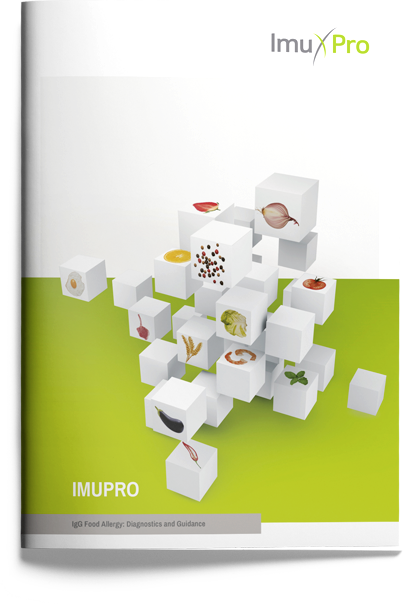 See the full list of tested foods in the ImuPro 270 Food Intolerance Test. Not Elevated: No food intolerance detected to this food item. Elevated: Mild food intolerance detected to this food item. Highly Elevated: Severe food intolerance detected to this food item. An analysis of 270 different potential trigger foods. Our top-level package gives you the most complete list with 270 potential trigger foods that may be causing your food intolerance symptoms. This extensive list assesses meats, poultry, fruit, vegetables, cereal, grains, dairy products, eggs, spices, thickening agents and preservatives. Unlike the other packages available, the ImuPro 270 includes food intolerance testing for seafood. A detailed report of your test results. A report is generated with your results. Foods are classified as “Not Elevated,” “Elevated” and “Highly Elevated” so that you can start making immediate changes to your diet. Your individualized nutrition recommendations. After receiving your results, you may need additional support for making changes in your diet. We provide nutrition recommendations specific to you. Based on your results, you will receive information on how to eliminate trigger foods. 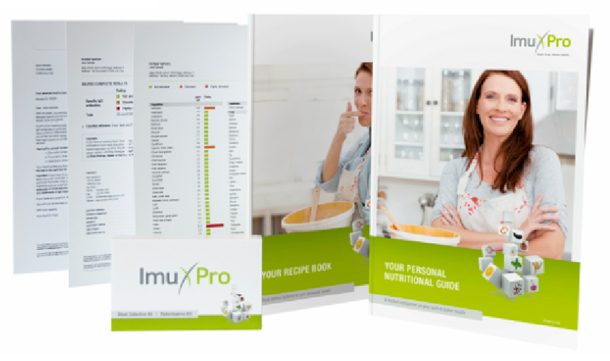 The ImuPro 270 Food Intolerance Package also comes with an essential recipe booklet to help you cook meals that avoid your food triggers. These nutrition recommendations and booklet will help you start cooking and feeling better! A comprehensive analysis of your food intolerances. Access your results at any time via the mobile app. You can always have your results just a tap away! The analysis breaks down trigger food based on meats, dairy, fruit, vegetables, grains, spices, food preservatives and seafood. 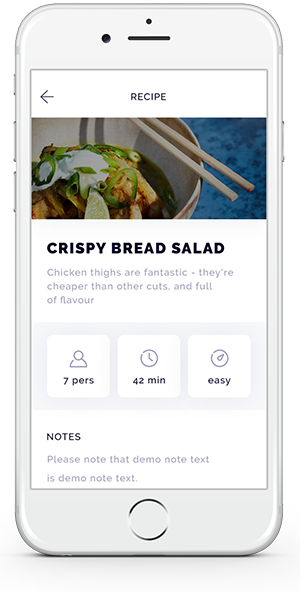 Additional tailored recipes for you. 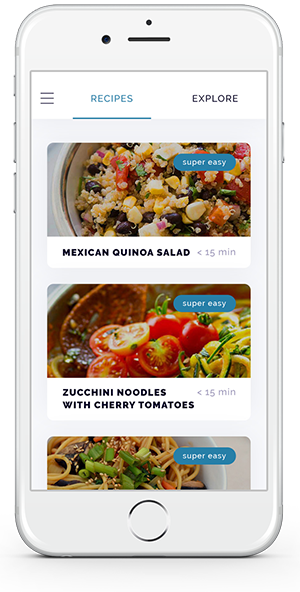 You will also receive additional monthly recipes that align with your new dietary needs. You can develop new cooking skills and meal plans that can keep you symptom-free. Ability to chat with a nutrition professional. Your food intolerance results may spark many questions. As a feature to the package, your purchase comes with a chat service to connect you to a nutritionist. 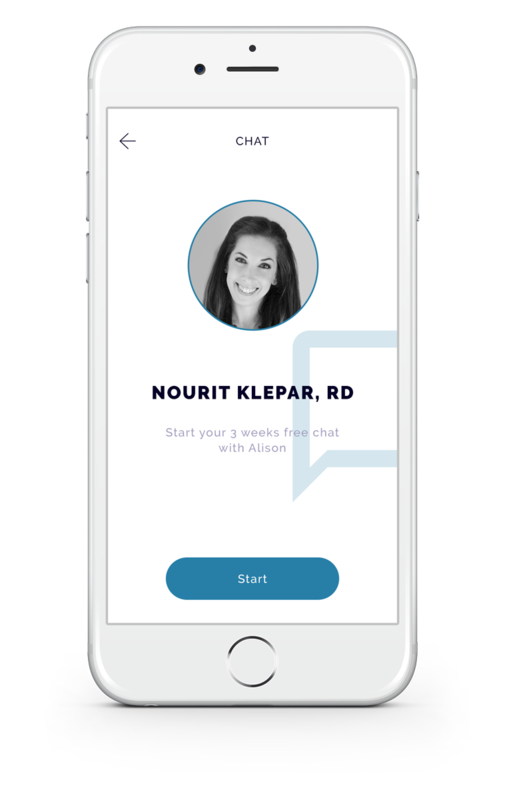 While this service is limited to 3 weeks, chatting with a nutritionist can give you tips and ideas for your new dietary needs. For extended personalized nutrition care, seek a registered dietitian. To see just how much more you get with the ImuPro 270, check out the mid-level ImuPro 180. For those looking for the most cost-effective package provided, check out our basic ImuPro 90.